We seek to establish an apostolic center that sets Ephesians 4:11 ministry gifts of apostles, prophets, evangelists, pastors and teachers as a leadership team, and develop disciples to use their gifts to touch lives, change nations and shift regions. There is a strong emphasis on teaching, training, equipping, activating and releasing. We encourage personal growth through prayer, worship Bible study, fellowship with other believers, finding your place in ministry, and service in our local Church and communities. We also believe in ministering to the whole person, provide biblical hope, help and healing for those who are hurting, and teach disciples to apply biblical solutions that will help them experience an abundant life in Christ. New Creations Christian Church and Ministries has been in existence since April 2002. We are very passionate about making a positive impact in our COMMUNITY. We seek very opportunity to share the gospel of Jesus Christ. That makes OUTREACH a very strong component of the work we do. We believe in providing food, clothing, and other resources to help people achieve and maintain a better quality of life. We have led FEED THE CHILDREN events, ministered to men, women and children in shelters and prison. We currently partner with local schools and businesses to provide assistance to men, women, children and families. We assist seniors and members in our community once a month through the SHARE Food Network. Mount Moriah Resource Center is a sub ministry with a dual mission, provides personal development skills, business development skills, and leadership development skills to emerging and existing entrepreneurs; and provide job readiness training, career moves through apprenticeships, financial courses, and job listings to help those seeking gainful employment. We are a great networking system that distributes information and resources. There is a lot more we want to do to educate, empower and equip those who come to us for help. 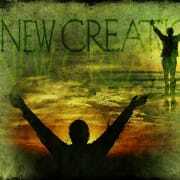 Would you recommend NEW CREATIONS CHRISTIAN CHURCH AND MINISTRIES?